Allergies are often treated by a Chiropractor with chiropractic care, lifestyle changes and natural remedies. Chiropractors are Primary Care Physicians meaning they can treat the whole body. The Chiropractors of Millar Chiropractic Clinic have treated hundreds and hundreds of patients naturally over the years for their allergies and allergy related problems with good success. If you have allergies, seasonal or otherwise, YOU deserve to try and treat them naturally without drugs or surgery. 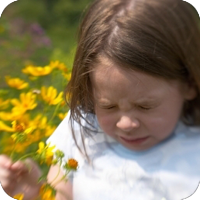 Of course, we here in the Tennessee Valley have a special need, as allergies run wild. What is it the Indians said. "This is the valley of the sick head". And I think most of us living here in the Tennessee Valley have experienced that "sick head". Therefore, if your spine is misaligned, it could cause an imbalance in your nervous system function. This upper cervical spinal joint irritation could possibly produce or exaggerate asthmatic and allergic symptoms. For example; many asthma and allergy sufferers experienced traumas such as head injuries, auto accidents, or falls which could have injured their upper cervical spines. The good news is that we can perform an upper cervical examination to determine if chiropractic care can reduce your allergic and asthmatic reactions. Other then misalignment, we also know that environmental toxins can accumulate in the body and cause allergic and asthmatic reactions and worse. We often look for and these reactions and suggest ways to detox the body. Many patients have found great relief from allergy detox. Finally, we all know that some of us are allergic to "just about everything". For those, we use the bucket theory of allergy control. Imagine your allergic reactions as a bucket. The more exposure you have, the higher you go in your bucket until your overflowing. You can't take away the trees, grass and the flowers; but, you can lower the allergy reaction in the body by eliminating the foods that cause allergic reactions. By drawing blood and sending it to Mayo clinic for an IgG4 test, we can determine if your blood is allergic to up to 90 foods, spices, molds etc. If you are, you simply stop eating the allergic foods and your allergic and asthmatic reactions decrease with them. You then lower the histamine reaction in your bucket, if you will, and you may be able to enjoy the outdoors again.